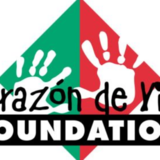 Kingdom Coalition For Kids and the Corazon de Vida Foundation present a golf tournament on Friday April 24, 2015, 1:00 PM at Tijeras Creek Golf Club. Proceeds benefit Corazon de Vida Foundation, 20 year USA non profit that provides life support for 13 Baja orphanages. Golf tournament will feature a Helicopter Golf Ball Drop, after tournament dinner and auction, and other golf activities throughout the day. TEE IT UP FOR THE KIDS ON APRIL 24!